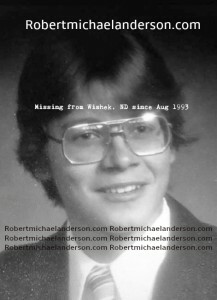 A young Robert Michael Anderson. Help to Solve this unforgotten, unsolved and ongoing criminal case. 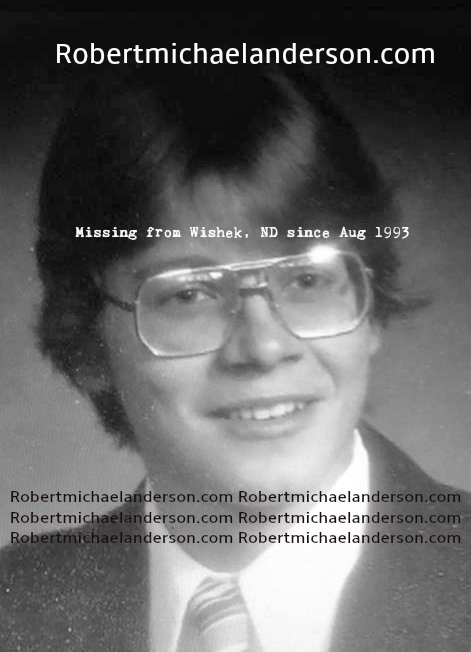 Did you see Robert Michael Anderson and Kristin Joy Diede in the Wishek, ND area in August of 1993? See contact information on this website. Previous Previous post: Did you know Valerie Goebel – Kristin Joy Diede? Next Next post: The cold and frozen voices of Robert Michael Anderson and Kristin Joy Diede.